At the time of Ngāti Toa’s attacks on Ngāi Tahu, Kaiapoi pā was the greatest of Ngāi Tahu’s settlements. 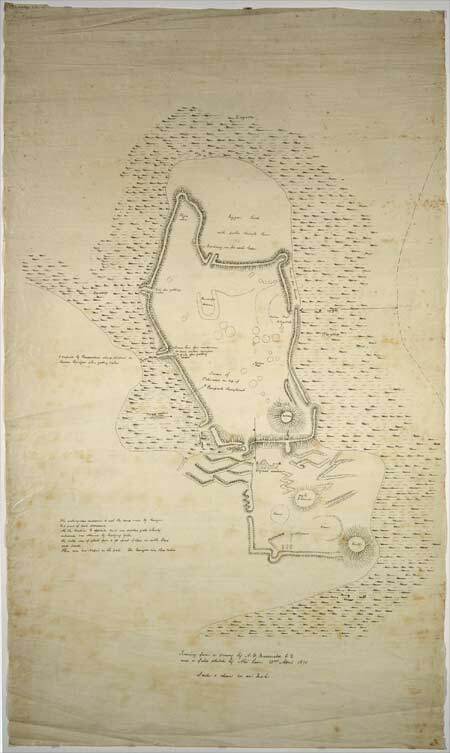 As this plan shows, it was surrounded on three sides by swamp and modified at its landward approach because Ngāti Toa were well armed with muskets. In 1831–32, after a long siege, Te Rauparaha managed to take the pā when the palisades caught fire.